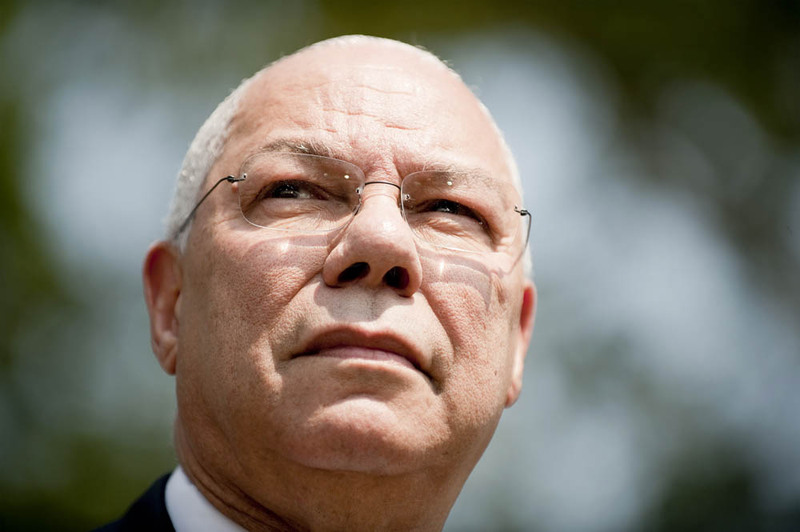 Colin Powell rose from humble roots to become a retired four-star general, statesman, and diplomat. He is perhaps best known for serving as the 65th United States Secretary of Service under President George W. Bush, as the first African American to hold that position. Powell also served as National Security Advisor, Commander of the U.S. Army Forces Command, and as Chairman of the Joint Chiefs of Staff during the Persian Gulf War. Whether or not you agree with General Powell’s military philosophy, it’s hard to argue against his character. Born in Harlem and raised in the South Bronx, the son of poor Jamaican immigrants and the product of the NYC public schooling system, Powell is the sort of hardscrabble American that embodies what is possible through much work, determination, and dedication. Both during his years in service and as a civilian, Powell has been outspoken about the importance of a good education system to our society. The Colin Powell School for Civic and Global Leadership at the City College of New York (CCNY) was born out of CCNY’s Colin L. Powell Center for Leadership and Service, founded by Powell in 1997. The School is based around the social sciences, comprising five departments: Anthropology, Economics, Political Science, Psychology, and Sociology, with interdisciplinary programs ranging from Pre-Law to Latino Studies. Powell also founded America’s Promise Alliance in 1997. The foundation works with corporations, non-profits, faith-based organizations, educational institutions, and government agencies to achieve its goal of helping young people from all socio-economic backgrounds. The five “promises” of the foundation are: 1) Ongoing relationships with caring adults — parents, mentors, tutors, neighbors, youth volunteers or coaches; 2) Safe places with structured activities during non-school hours; 3) Healthy start and future (this includes access to healthcare and good nutrition); 4) Marketable skills through effective education (this is about technically preparing young people to have the skill-sets required by 21st century jobs); and 5) Opportunities to give back through community service. The Harlem Times Founder Paul Jackson recently interviewed General Powell to discuss the importance of STEM education for America’s future, career opportunities in the military, and the necessity of being one’s own hero. Who or what has been the biggest inspiration in your life? You chose the military as a career. What motivated you to pursue this path? “It’s almost as if the military chose me. When I entered City College of New York, just short of my 17th birthday, not sure of what I wanted to do, I knew I had no choice but to go to college because my parents expected it. I started out in engineering, that didn’t really appeal to me. It didn’t go well. And then the second semester at City College I saw these cadets marching around in uniforms and that was impressive. So I learned more about ROTC and decided to join ROTC to see where that would take me. At the same time I was studying to get a Bachelor’s of Science degree in Geology. But I fell in love with the structure of military; I fell in love with the guys who were part of that structure. They were all like me, poor kids, mostly immigrant kids from inner city sections of New York…so I found in ROTC a new family, kind of like the family I had in my upbringing, but now I was alone in college and here was a new family. “I went into the Army not knowing what the future would hold and with the Army promising me nothing except an opportunity if I worked hard enough and I had potential. It was just a few years after the last unit was desegregated in the Army. So I was really in that first generation of black officers who were not facing any segregation in the armed forces. And at that time the armed forces in the United States were perhaps the most progressive social institution in the country. So what do you think are some of the most promising careers in the military? “Well there are hundreds of careers in the military, and not just the Army but the Navy, the Air Force, the Marine Corps. Some are combat arms, which is what I was (you’re the ones who will take the fight to the enemy, either as an infantry officer, armor officer, fighter pilot, or in a submarine or something like that). And then there are more much more sophisticated, technically demanding jobs in the Army — repairing radar, working on navigation systems…there are some in between, like being a mechanic or being a software designer or engineer. Everything you can think of in civilian life you can find in the Army. “Increasingly though, compared to when I first when into the Army 56 years ago, it’s much more technologically advanced. And so increasingly, we need youngsters coming in who first and foremost have graduated from high school. That’s our first prefix for two reasons. One; they finished high school. Therefore, they are more trainable than someone who hasn’t. Two; they stuck with it. They didn’t quit, they stayed with it and got their high school education and now they’re in the military and we can train them. “More of them that come in with some sort of STEM background, that they didn’t shy away from science, technology, engineering, and math — the better we like them. Because that’s the kind of skill-set we require for a modern armed force. I think it’s still a great career for young people. I think serving your country is something noble to do and I’m proud to have that opportunity in many ways, both in the Army and in civilian diplomatic life. 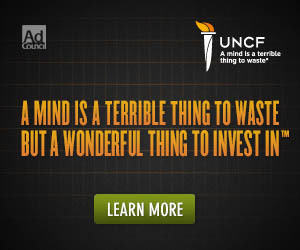 So any youngster who’s inclined in that direction, I hope they would pursue it. Take a visit to a recruiting sergeant, any one of the services, and see what might be available to them. So you’re saying don’t shy away from STEM courses in high school? So is there is a base? Do high school students need to take AP (Advanced Placement) classes? I’ve heard engineers say that a lot of kids are dissuaded from the field because they thought they had to be geniuses, when really you just need to stick to it. What are your thoughts on this? “Well you just have to willing to open your eyes and study like you’ve never studied before. They are not simple courses. I was not a great student. I had straight As in ROTC, but otherwise I was a little over 2.0. But I rose to the top of two professions, a military profession and a diplomatic profession, because I worked like a dog and the Army insists that you do the very best at everything you are given to do; whether you like it or not you have to do your very best. That’s something we need to instill in our children. “It’s especially the case with our African American youngsters, mostly the boys. The young women in the African American community, they get through high school at a higher rate. I was on the board of Howard University for many years. It used to disturb me that for every freshman class during my time on the board 15 years ago roughly 67 – 70% were women and only 30% were boys. And the women graduated at a higher rate. If you follow that string out you can see the kind of sociological, the kind of demographic problems this gives when we get these highly educated women, who will do well in the work place, trying to form a family with men who have not achieved that level. We really need to think through the consequences of our young boys not doing as well. What is your message to these boys? “What I say to them is ‘Look, you’ve got the same brain, the same body as anyone else. And the fact that you were born poor or that you are in a not-great neighborhood is a disadvantage, but disadvantages are to be dealt with and worked over. So you may have to work harder, you may have to study harder — go ahead and do it. Don’t waste your time with drugs. Don’t waste your time thinking it’s cool not to study (because you look white or something, some nonsense like that). At the end of the day you have to stay on the right path, and not get in trouble with the law and get your education.’ And the thing I like to leave them with is that ‘We have expectations for you. We need you; your country needs you. Above all, be your own role model. Stop looking at a general or Lebron James or somebody else. Set your own standards, be your own standards, stop fooling around and stick with it; you’ll be somebody in life.’ And the good news is that so many young people do that. You started America’s Promise. Does this fit in with that? With young people pursuing STEM education, careers in the military, and organizations such as America’s Promise, where do you see this generation 20 years from now? Perhaps one of the most powerful messages young people can get from General Powell is this — you can’t wait for the world to change itself; if you want change, you’ve got to do something about it today. Put the work in, stay focused and dedicated, and the future is yours.